Bodil Blain, Wallpaper* columnist and founder of Cru Kafé, shares coffee and creative small talk with leading figures from the worlds of art, architecture, design, and fashion. 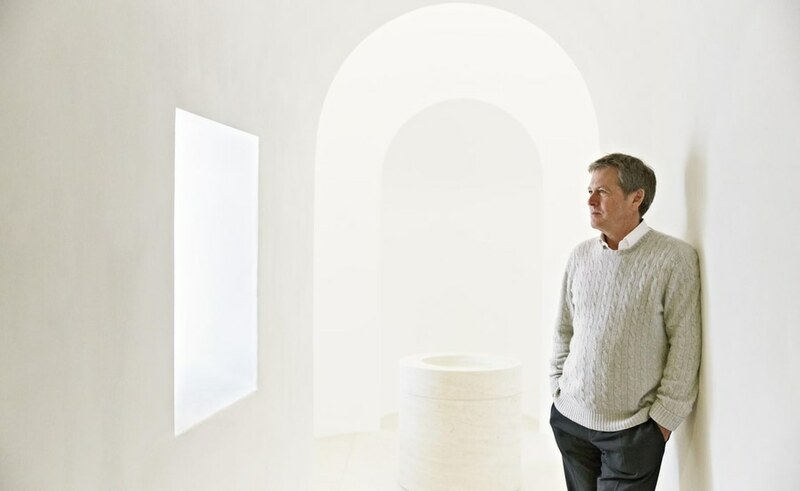 In her interview with designer John Pawson, he rises to his ‘terribly British and understated’ reputation. A humble practitioner disinterested in legacy, he learnt discipline from Japanese designer Shiro Kuramata and cites the St. Moritz church in Augsburg as his career highlight. Bodil Blain: How do you take your coffee? 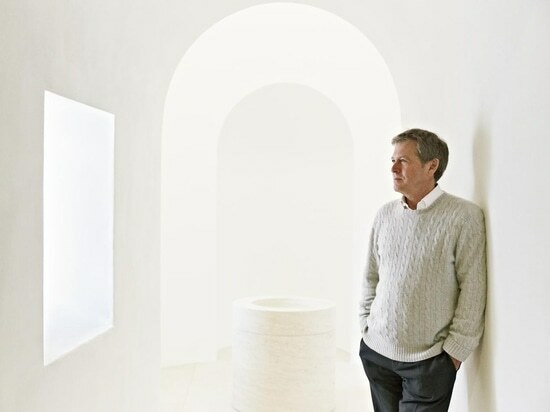 John Pawson: Strong Italian espresso shots in my studio. I don’t go to coffee shops. BB: Who was you inspiration to become a creative and how did it evolve? JP: My father. He was always building things. I knew at school I wanted to be an architect, but the teacher said, ‘oh good lord you can’t do maths’. Later I was living in Japan and trying to hang out with Shiro Kuramata. He got fed up with me and said ‘why don’t you do it yourself?’ So I went to architectural school in London. That’s where I realised you could learn how to design, before that I thought you just sat down and did it. BB: Are there any limits to your designs? JP: No limits – I’m interested in anything, specially if it’s useful. I’m not so good at clothes, though. My family were involved in textiles and my father thought I should learn how to cut patterns and sew. I made a dress for my mother, but it didn’t fit – that was her excuse. She had this one elegant Chanel outfit, which she would wear on smart occasions which I loved – she wore it as a sort of uniform. BB: You are often described as terribly British and understated, how does your nature affect your work, especially abroad? JP: In America if you don’t say ‘I am a genius’, then you are not. The English way is to say, ‘I’ve had quite a good idea.’ I said this to Calvin Klein once and he said, ‘Well, I don’t want quite a good idea, John.’ I always worry about how people react to what I say. I am Mr Night-Angst. My wife says, ‘Just wait until the morning’. BB: What gives you the most gratification in your work? JP: The process of designing, just messing around – it reminds me of being at school or at home as a child playing. I am very impatient, I need to flit between things. Luckily, I have an amazing team that can allow me to do that. BB: Was there a moment in your career that stands out? JP: I will never forget unveiling the St. Moritz church in Augsburg. I gave the key to the bishop, and he let in 800 people from the local congregation and they were all pushing excitedly to get in. The atmosphere was amazing, the door shut and I shared two hours of service and a concert with them. BB: Who are three people you admire? JP: My father, he was very charming with people. At my wedding he made a speech: ‘I had 40 years with John and 40 without, but the later 40 was the best’. That’s how I feel about my children. BB: What are you working on? JP: A lot of hotels, the Residences at the West Hollywood Edition for Ian Schrager. A project with Sterling Ruby and Ben Rose in Jaffa. I’m also working on a small chapel in Bavaria. BB: What would you be if you weren’t designing buildings? JP: I have tried fashion, photography, and teaching, but architecture was the one thing I felt I could do. You need to keep your head down for 30 years, then when you raise your head you have a body of work. Kuramata taught me that discipline. I am too impatient for most other things. I love Instagram, however it’s so self-indulgent. I think I would be a professional instagrammer. BB: Now that you’re older, how are things different to when you started?